~ American on being asked the currency used in Britain. ~ US Dollar on British Pound. 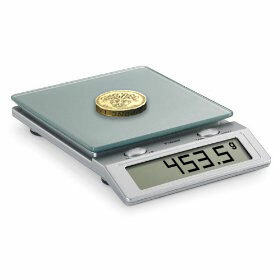 A 1 Pound coin weighs exactly 1 Pound. A pound can be defined in many ways. In the common term "to pound" it means to thump, beat or otherwise smack the bejeesus out of someone. In this definition, the word was coined by Julius Cesar, when, during the Sacking of Rome, he announced "Infamy, Infamy! Stop pounding me, it really, really hurts". The Romans were pounding him because it had been revealed he was actually Kenneth Williams in an early role and he had also stolen the ears they had lent to him early that year. The pound coin was invented by accident in 1383 when someone in the royal mint dropped a bit of gold on the floor, and when he picked it up it had the picture of the king on one side, and the writing "One Pounde". These were minted until 1931, when gold prices went so high that one pound was worth 4,955,448,905,084,009,889,058 pounds on Tuesday the 30th of April 1931. To deal with this disaster, Great Britain moved on the Crumpet Standard instead. The pound is the unit of currency used externally in relation to Great Britain, and is so named because it has the Queen on the front and each unit weighs a pound. It is also known as the Pound sterling, named after Rod Sterling due to its ability to mysteriously disappear, especially in casinos and strip-clubs. Because of the weight of the pound in pounds, some Britons are in favour of abandoning the internally-used Crumpet and instead joining the European single currency, the millilitre. The pound is a verb meaning "to strike repeatedly with great force, as with an instrument, the fist, heavy missiles, etc." or you can pound "it" in bed. Some other currencies are known as the pound. The Cypriot currency is the pound, although this is only maintained for comedy purposes. The Egyptian currency was formerly the pound, but is now the pastry. The exchange rate is fixed at four danish to one eclair. The lire, in use until recently in Italy, is Italian for pound, although this currency was unusual for being expressed in the billions. The Italians took an ordinary currency and added at least 12 zeros to the prices in order to confuse tourists. The natives actually paid more likely rates. This was swept away when the Italians joined the millilitre and immediately turned it into the square gallon. The original derivation of pound was probably Roman, or Greek. It's unlikely you will look up either, so we can settle on Roman for now. They chose the word, itsa a pounda in Latin, based on where you send stray dogs, for reasons that are lost in the mists of time. This can also refer to the act of two people banging fists ("pounding it"). Also, when talking to robots on the phone, they usually require you to pound the # button. If you do not do this fast enough, they will shoot lazer beams out of their eyes and through the phone line. The pound can currently be found dominating the exchange rates. Many believe that this is where the name "pound" originates. The pound has, from an early stage, pounded currencies such as the Punt and the Mark into a bloody, yet dignified heap to be enjoyed by passing British holiday makers. Recent casualties include the Amerikan Donner which has seen massive pounding for the last few months and the Millilitre which accidentally ponced under pounds nose asking to be friends. No. The Pound's future looks bleak. Like a prize fighter reaching the end of their carreer, the Pound picks fights with the weaker opponents. With currencies such as the MilliLitre working out more and making more and more eastern friends it is only inevitable that pound will get a slap. A big nasty slap.